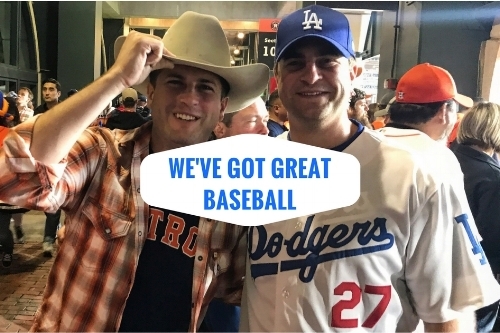 We at Visit Houston struck up a friendly wager with Discover L.A. over the outcome of the 2017 MLB championship. The winner would take over the opponent’s social media pages for one day. And while we&apos;ve got nothing but respect for the Dodgers, H-Town finally knows what it feels like to win the World Series! Don’t worry, y&apos;all. We promise to be good sports! After all, when the season is over, at the end of the day, Houston and L.A. really have a lot in common. Come check us out! One thing is undeniable, we live in two of the best places in the world. With two of the most spread-out cities in the country, together we encompass over 1,130 square miles and almost 18,000 miles of road. While we may not have your hills, Houston has no shortage of fantastic sights and beautiful spaces. 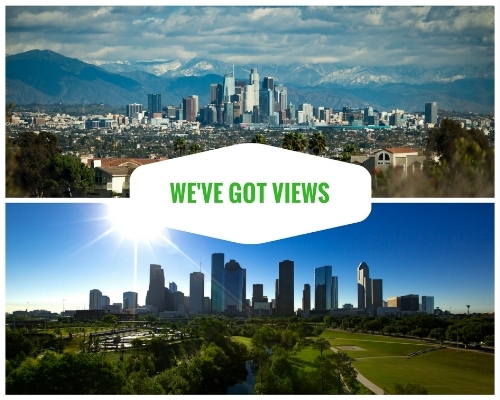 From views of the skyline at Buffalo Bayou Park, to open air venues like Miller Outdoor Theatre, natural sanctuaries like Houston Arboretum, or people watching at Discovery Green, rest assured you&apos;ll find plenty to see on your visit. 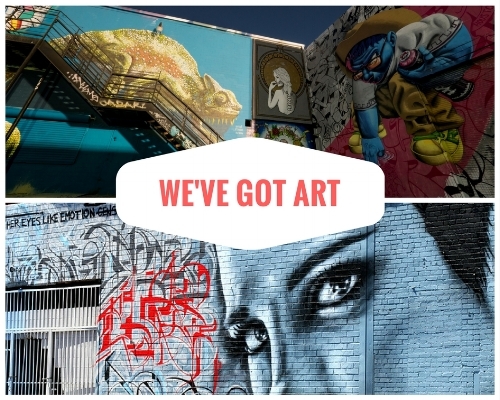 The hallmark of any great city is a thriving art scene, and Angelenos, more than most, understand the value of art, film, theatre and music. L.A. has long been an epicenter for entertainment, culture and design. What some may find surprising, however, is the flourishing creative culture throughout the city of Houston. The Bayou City is home to the HUE Mural Festival, where graffiti and street artists from all over the world showcase their revolutionary work in this uniquely urban medium. When the sun goes down, the Day For Night festival combines some of the hottest musical artists around with breathtaking, interactive visual art installations for an unprecedented merger of sight and sound. Events like these only add to the stellar collection of museums, theatres and live music venues that Houston enjoys on a daily basis. In any case, Beyonce was born here. Enough said. There&apos;s definitely something to be said for a city by the sea. Whether out on the water or taking it all in from the shore, our coastal cities know how to have fun in the sun. For Houstonians, the Gulf Coast is an essential part of the experience. 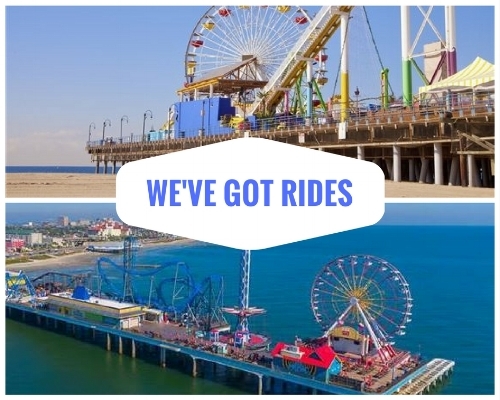 Take a ride on a rollercoaster or Ferris wheel at the Kemah Boardwalk or Galveston&apos;s Pleasure Pier. Grab a pole and head offshore to fish for Red Snapper and Speckled Trout. Enjoy the beaches of Galveston or stroll the historic buildings along The Strand. When the sun starts to set, nothing beats a delicious meal of fresh seafood prepared by one of Houston&apos;s many world renowned chefs, like James Beard award-winner Hugo Ortega at Caracol. In L.A., fans of the space program and wannabe astronauts may have gotten their fix at the impressive California Science Center. Maybe you&apos;ve stared in wonder at the shuttle Endeavour, imagining the 25 missions she undertook to Spacelab, Mir and the International Space Station. But for a chance to experience the space program in all its glory, there&apos;s no better destination than Houston, headquarters of NASA Mission Control, the astronaut training program and Space Center Houston. 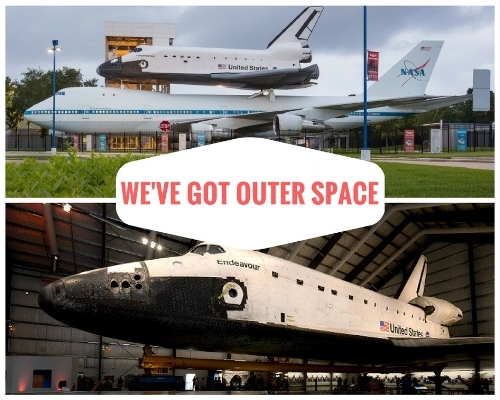 While you get hands on with real equipment and moon rocks, explore behind the scenes of Johnson Space Center, and check out the sight of a space shuttle riding piggyback on a Boeing 747, you&apos;ll understand why they call us Space City and why we named our team the Astros. Speaking of the Astros... We&apos;re so proud of our hometown team for bringing home the 2017 World Series! Beyond that, we&apos;re even more proud to have played against such a talented and formidable team as the Los Angeles Dodgers. In the true spirit of competition, we wanted to play against the best, and by the end of the regular season, with the best record of the year, the Dodgers proved that they were the team to beat. Throughout the series, both teams put their heart and soul into every pitch, every swing of the bat, and every play in the field - time after time, fighting to come back against all odds. It was, without a doubt, one of the most exhilarating and evenly matched World Series in recent memory. During the final seven games, Astros&apos; fans rallied around the phrase "Earn History". Thanks to our amazing players and the dedicated fans of Los Angeles and Houston, our two teams gave the world a spectacle that will not soon be forgotten and have earned their place in American baseball history. Thank you for the opportunity, and we hope y&apos;all drop by to visit us soon. Good game!